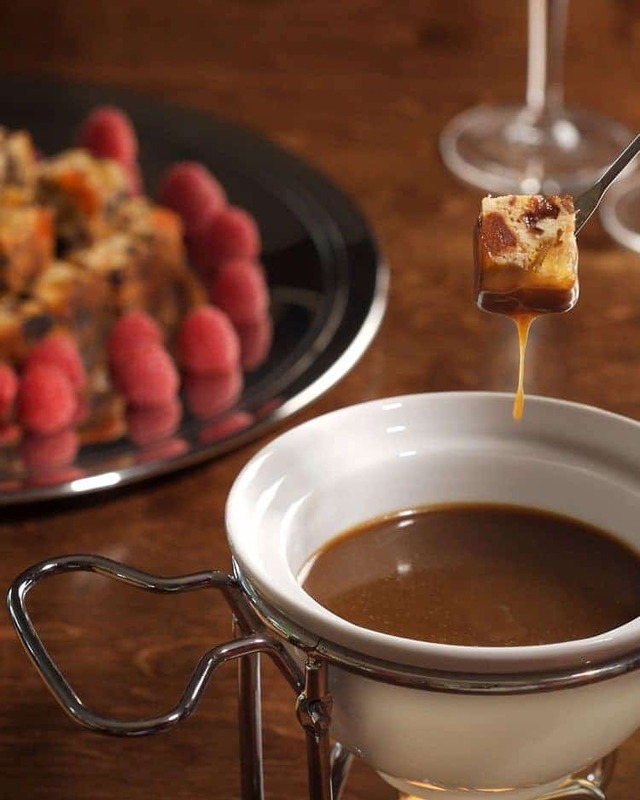 You’ve got to try this amazing chocolate fondue. Oh, come on! You know you are. In our house, I can say for confidence that each and every one of us love chocolate. My daughter and I lean toward dark chocolate. You know…for all of its wonderful health benefits. Whether we’re dipping our fruit in chocolate or making a homemade chocolate pudding filling for a cake, we can’t get enough of this dark and devious goodness. Just ask the homemade chocolate pudding that we made and devoured last night. Yum. 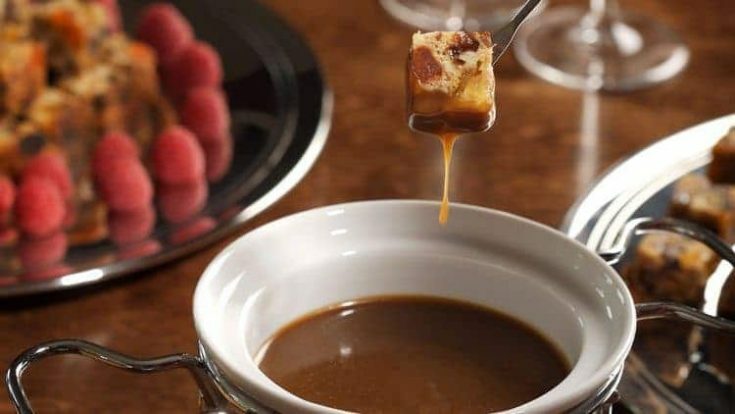 With just a few ingredients, you’ll have a chocolate fondue that is out of this world delicious. 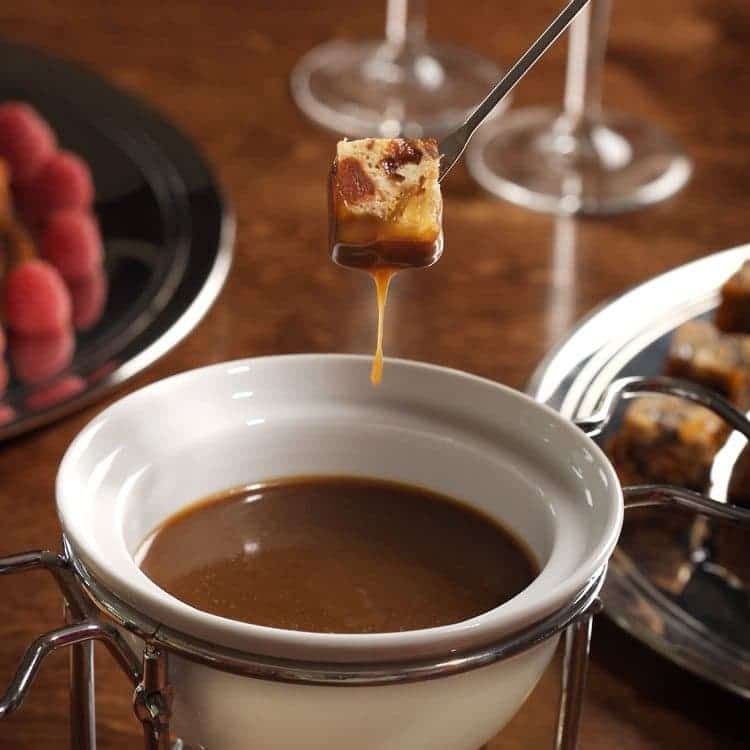 Assuming you have a fondue set, make sure to get that out first. Otherwise–improvise. It’s the trick to every successful home cook. Use what you have on hand until you have what you need to make any delicious dish you desire! This is the perfect dipper for fresh strawberries, raspberries or even shortbread cookies. If the chocolate becomes too thick for dipping whisk in 1 teaspoon of half and half at a time until you achieve the desired consistency. Place the half and half into a small sauce pan over medium heat. Add the butter and 1 tablespoon of rum and bring the mixture to a slow simmer. Once simmering, remove the pan from the heat. Add the chocolate and whisk until the chocolate has completely melted and the mixture is smooth. Pour in the remaining rum and whisk until combined. Transfer to a small fondue pot or a custard cup place on a heated serving plate. Can this be made without the rum?